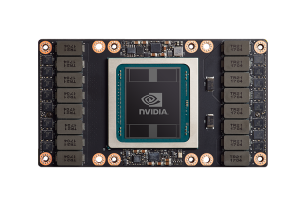 NVIDIA® Tesla® GPUs deliver supercomputing performance at a lower power, lower cost, and using many fewer servers than standard CPU-only compute systems. 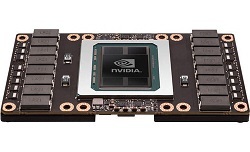 Powering the world’s leading Supercomputers, Microway designs customized GPU clusters, servers, and WhisperStations based on NVIDIA Tesla and NVIDIA Quadro® GPUs. 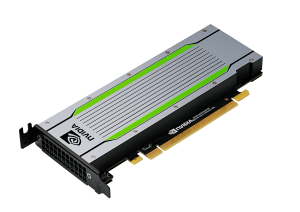 We have been selected as the vendor of choice for a number of NVIDIA GPU Research Centers, including Carnegie Mellon University, Harvard, Johns Hopkins and Massachusetts General Hospital. ECC memory error protection – meets a critical requirement for computing accuracy and reliability in data centers and supercomputing centers. System monitoring features – integrate the GPU subsystem with the host system’s monitoring and management capabilities such as IPMI. IT staff can manage the GPU processors in the computing system with widely-used cluster/grid management tools. “Drop-in” GPU-accelerated libraries – provide high-speed implementations of the functions your application currently executes on CPUs. OpenACC / OpenMP Compiler directives – allow you to quickly add GPU acceleration to the most performance critical sections of your application while maintaining portability. CUDA integrated with C, C++ or Fortran – provides maximum performance and flexibility for your applications. Third-party language extensions are available for a host of languages, including Java, Mathematica, MATLAB, Perl and Python. Tesla GPU computing solutions fit seamlessly into your existing workstation or HPC infrastructure enabling you to solve problems orders-of-magnitude faster.